There are few best-kept secrets when it comes to dining on Martha’s Vineyard, especially in the winter. 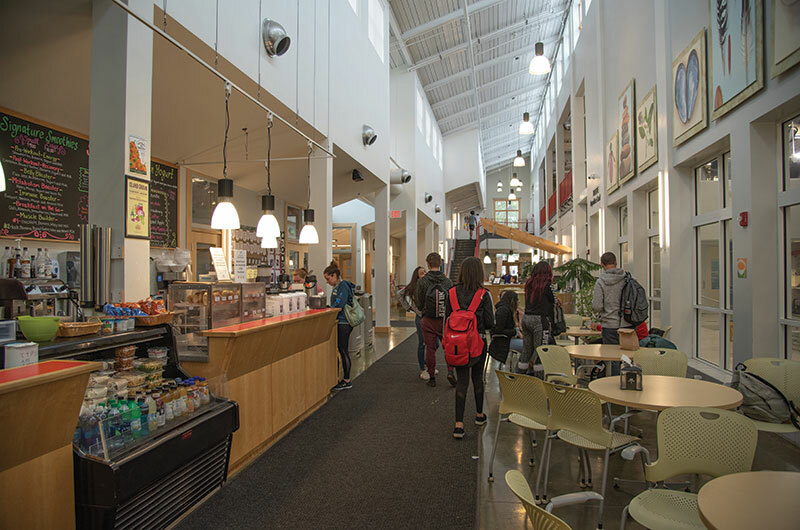 But two year-round Island eateries keep an unusually low profile: the Martha’s Vineyard Hospital (MVH) café and the Y Café at the YMCA of MV. Each weekday, from breakfast through the afternoon, both spots serve food to eat in or carry out, as well as grab-and-go pastries, sandwiches, salads and drinks. The Y Café has an espresso machine and frozen yogurt; the hospital offers hot-cooked entrées with à la carte side dishes. Each has counter service, plenty of table seating and lots of light. These cafés don’t advertise or promote their menus, and neither one has its own website or Facebook page. That’s because, though both are open to the general public, their mission is to serve an existing clientele: staff and patients at the hospital, and members at the Y. 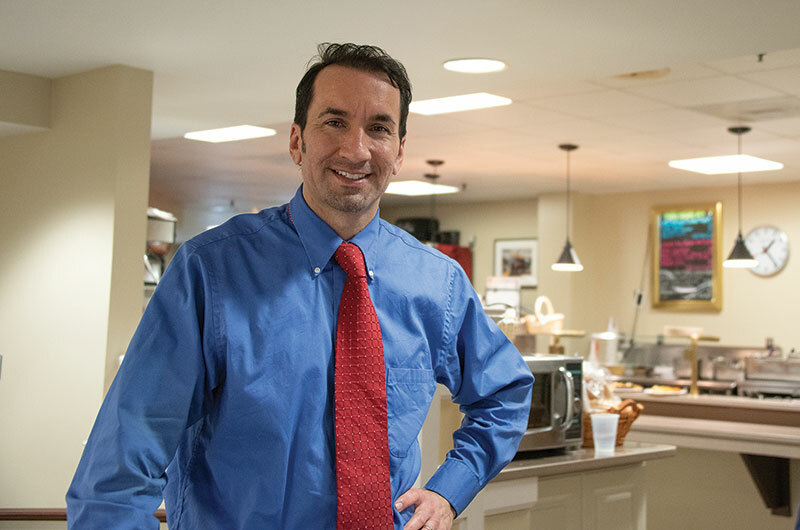 “We’re feeding people all day long,” said Chris Porterfield, director of food and nutrition at Martha’s Vineyard Hospital for the past 17 years. He estimates about 300 to 360 people stop by the café each weekday, with another 160 meals going out to Meals on Wheels recipients. 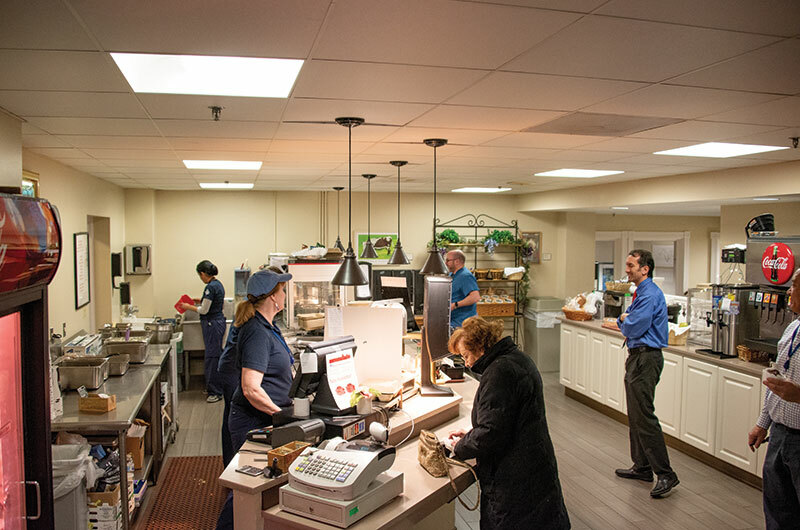 Seven days a week, the hospital's kitchen provides three meals a day for the acute-care patients and 60 residents of the long-term-care Windemere facility, and it feeds staffers as well. They also serve food to people receiving chemotherapy and other medications in the hospital’s infusion suites. “It’s important they’re taken care of,” Chris said. Breakfast in the MVH café begins at 6:45 a.m. with pastries and toast, hot breakfast entrées such as waffles, pancakes and scrambled eggs with bacon, and the usual morning beverages. “We always have fresh-made Danish and muffins,” baked daily in-house, said Porterfield. Toast-it-yourself options include bagels, English muffins and breads. 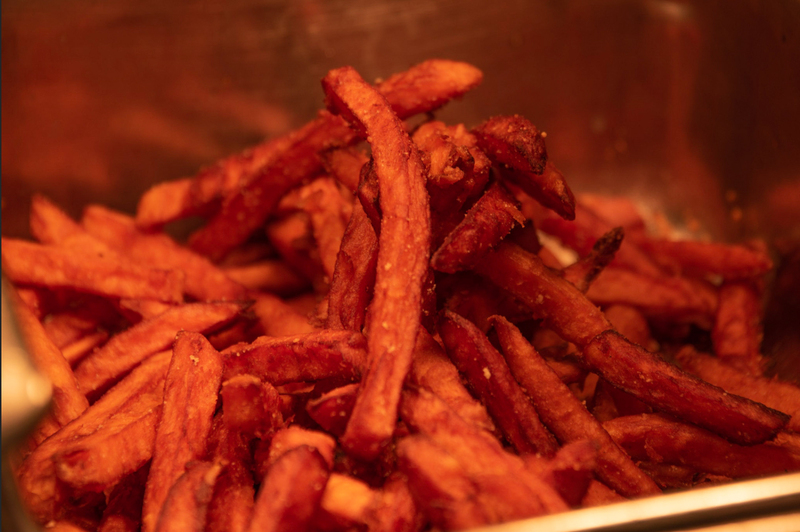 After a break at 10:30 a.m., lunch service runs from 11 a.m. to 2 p.m. with a salad bar, soup, daily pizza, burgers, chicken sandwiches and trans-fat-free French fries. Three daily entrée specials are priced separately from their side dishes, so you can build the meal you want. “It’ll always be a beef, a poultry and a seafood or vegetarian option,” Chris said. One recent Friday the fish special was Baked Crumb Codfish for $3.65, with sides of vegetables and parsley potatoes available at $.85 each. With a medium-sized drink for $.90, the full meal came to $5.65. There’s no tax, because the hospital is a nonprofit. The day’s other specials were Rotisserie Spiced Chicken – $4.25 solo, $6.65 with mac and cheese, salad and a drink – and a choice of vegetable or pepperoni calzone at $4.25 on its own or $6.30 with salad, grapes and drink. Grab-and-go sandwiches, made daily, range from $2.50 for tuna or egg salad to $2.95 for cold cuts and cheese. Porterfield said many of his customers take their meals to go, including senior citizens who purchase their evening meals at the café. Other regular patrons include construction workers and delivery drivers stopping in for a quick, affordable lunch. Food eatin in the café is served on china plates with metal flatware to reduce waster. The lunch line shuts down at 2 p.m., but snacks and drinks are available until 3 p.m.
Jim Greene of West Tisbury and his daughter Tikopia, a college freshman home on break, stopped by the hospital for lunch one recent afternoon. “They have a great salad bar, and the hours are nice – 11 to 2. You can come when it’s not crowded,” Jim said. Polishing off a slice of pizza, Tikopia said she also likes the café’s frozen yogurt, ice cream and French fries, as well as the fact that there are always alternatives to meat. Chuck Cotnoir, director of Dukes County emergency management, is a regular customer at the hospital café. The weekly menu is posted outside the café on Monday, so customers can plan ahead. The hospital café is closed to the public on weekends. The Y Café is also a weekday operation, open from 8 a.m. to 5 p.m. Monday through Thursday and 8 a.m. to 3 p.m. on Friday. 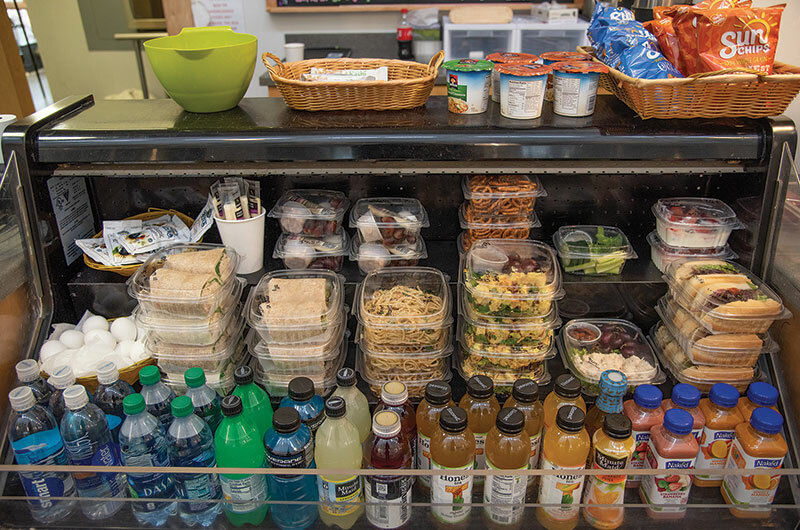 YMCA of MV finance director Joan Chaput said a new manager is getting ready to revamp the café, which offers smoothies, coffee drinks, frozen yogurt and prepared salads and sandwiches. 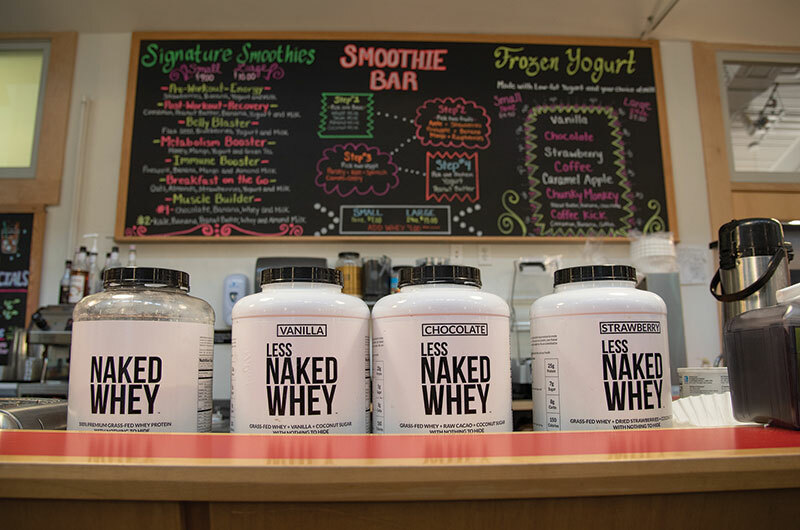 A hot dish like mac and cheese and a soup of the day are also featured, and the café has pre- and post-workout snacks too. A citrus quinoa green salad with sliced chicken, packed to go, was $8.50 on a recent visit. A “spicy Italian” on a bulky roll, a turkey club and a BLT were also $8.50. A lowfat fruit parfait was $5.50. What the café’s new format will be is up to the new manager, Joan said. Watch Vine & Dine for an update! Louisa Hufstader is a freelance writer in Edgartown, Mass.